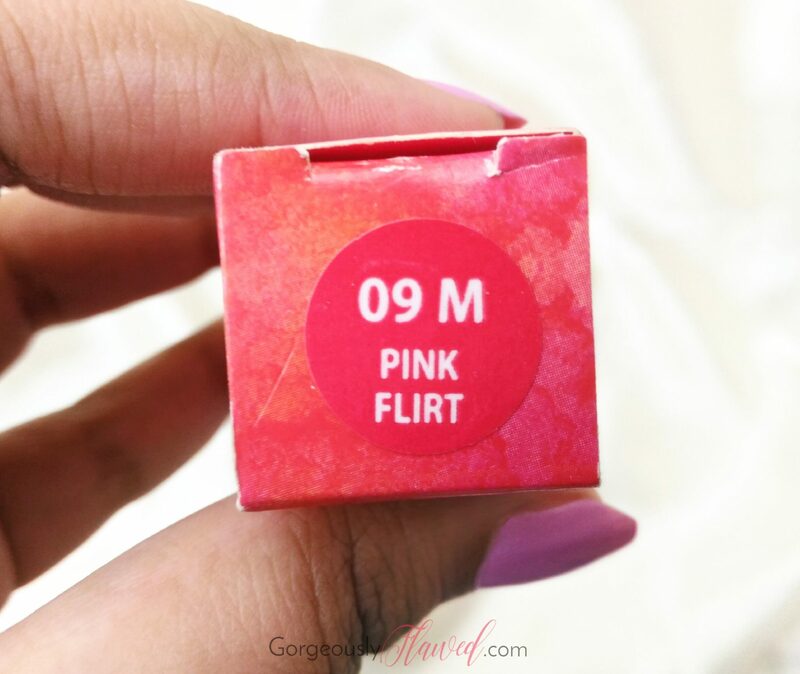 I haven’t even reviewed the lipstick from Nykaa’s first So Matte! range and they’ve already added two more collections in it. Are they too fast or am I too slow? 😛 You might recall this purchase of mine from my December’s Nykaa haul. 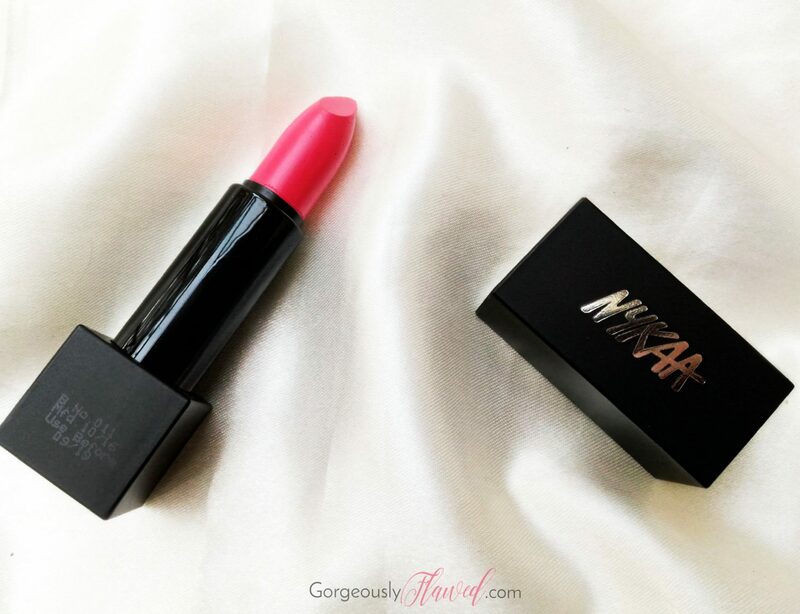 I didn’t get a chance to use this Nykaa So Matte lipstick much, hence the delay in the review. But now I’m finally here to share my thoughts about it. 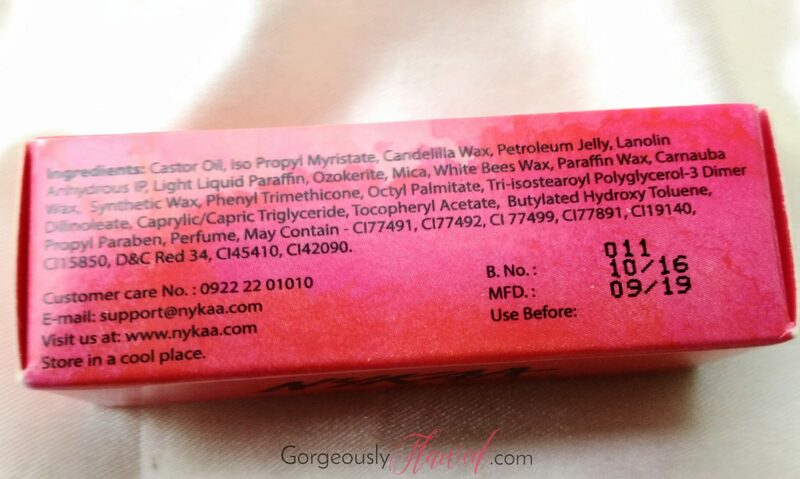 Keep on reading to know if it’s a yay or nay product from our beloved Nykaa! Play the love game with our Pink Flirt. This vibrant pink is sure to ring trumpets in his head. Get him hooked to you like a love controller with this flirty shade. 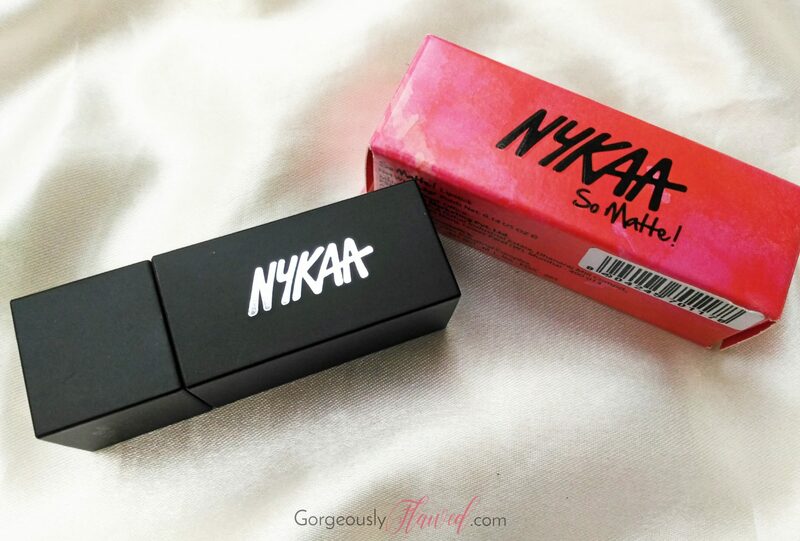 Nykaa So Matte lipstick comes in a classy square packaging with the brand’s logo embossed on one side of the cap. The highlight of the packaging is the magnetic closure of the cap. It’s something that you would expect in a high end brand’s lipstick! The shade “Pink Flirt” is a medium pink shade. It is the-perfect pink lipstick shade for Indian skin tones. On dusky beauties, this shade may come out as fuschia-pink. It’s such a happy shade (if there is any such term!) that it will instantly make your face look bright and awake. I am glad that I chose this shade. In my opinion, the finish of Nykaa lipstick is nowhere close to being “so matte”. 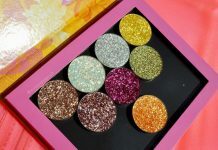 Yep, I can say that it has a semi-matte or soft-matte finish which can be transformed into fully matte if it’s blotted. 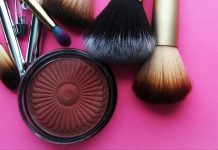 The lipstick is very creamy so it’s easy to apply, but it feathers and smudges easily. It’s comfortable to wear so you can use it without applying any lip balm underneath. The wear time of this lipstick is about 3-4 hours. It doesn’t survive the meal completely, if you eat or drink anything then it will fade easily from the inner parts of your lips. I am not disappointed with its staying power, but there is one thing that bothers me a lot whenever I apply this lipstick and that’s its taste. 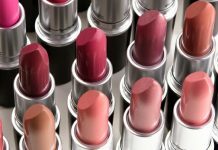 Wait – Don’t get me wrong, I never taste lipsticks voluntary!!!! ? I think I have mentioned this previously in one of my lipstick reviews as well. I hate those lipsticks that have plasticy/chemical taste/smell and urghh, this is one of them! It tastes like Gulaal (the powder we use to play Holi). Most probably, it’s because of the color pigment that it contains and not due to some chemical. If you know anything about this issue then please let me know by commenting below! Stays for a decent amount of time. Doesn’t dry out the lips or accentuate fine lines. The packaging is cool. You can play with it when you’re bored. ? 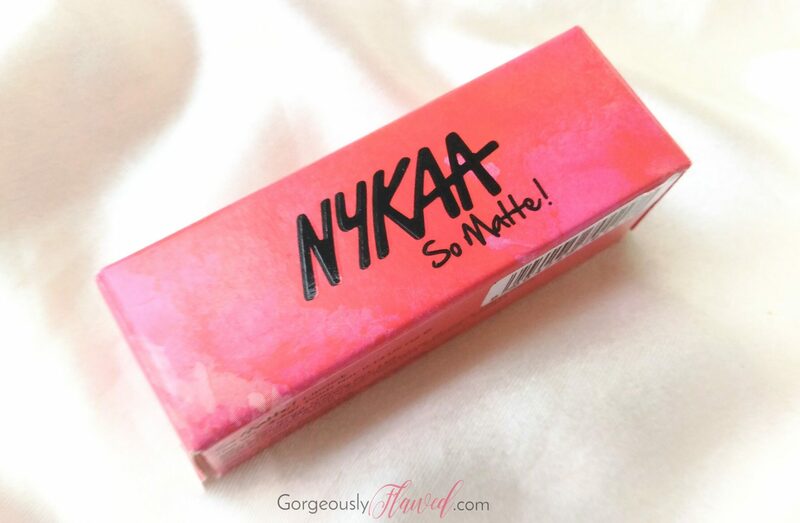 The Nykaa So Matte lipsticks have a good shade range as well as a comfortable wear formula. Truly worth the try! But the “taste” is a major issue about it. ? 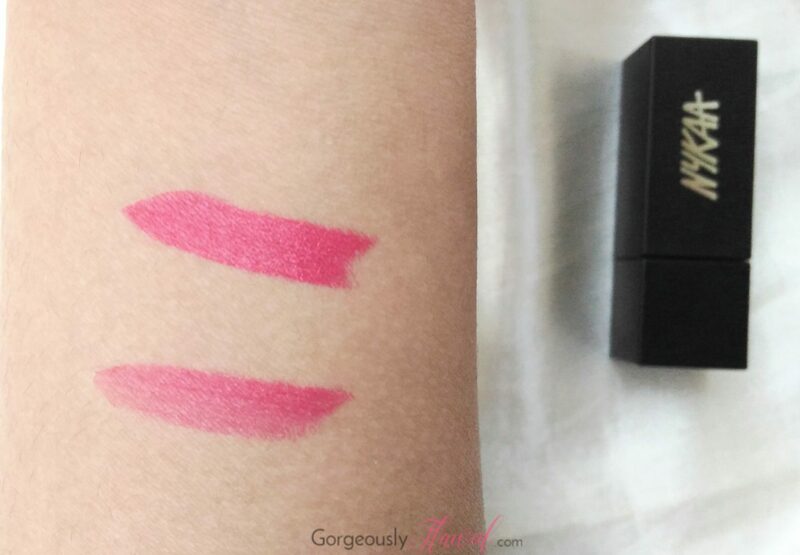 Also, if you are looking for a completely matte lipstick – then this is not the right one for you, just wait for my next review of another lipstick! 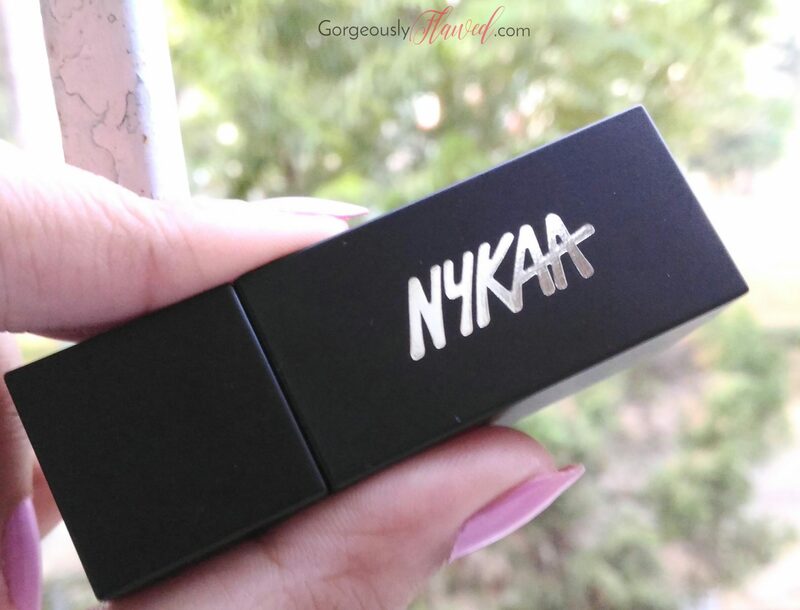 Have you tried any lipsticks from Nykaa so far? Which shade is your favourite? Love pinks and this shade looks so lovely. This is going to be my next pick. Nice and very honest review. Thanks for the review. wow lovely shade. Very close to fuschia pink.